Refunds must be made by calling 507-753-2779. There is a $5 processing fee on refunds. No Refunds after May 2, 2019. If we are forced to cancel, rainchecks will be issued that you can use for your next event at Spring Creek. Online Registration Closes at 11:59PM on Thursday, May 2. If you do not Register by this deadline, post registration will be offered at the track, but there will be a post registration fee. For full details and updated info on the Super Series, please visit the Super Series portion of our website which is located in the drop-down menu of the Events Info tab on the left-hand side of the website. All minors MUST have their legal guardians present at check-in. If the legal guardian will not be present, then the minor will need to have the correct forms printed and notarized. The forms can be found under the Minor Release Forms section of our website. If a minor fails to meet one of these two requirements, he/she will not be allowed to race or practice. There must be a legal guardian present for all minors practicing and/or racing. This is an AMA event, and you MUST have your current AMA card at check-in. If you do not have your current AMA card present, you will be required to purchase a new one. Registration for Saturday's practice will be done at the track only. Race Check-In Requirements: You only need to bring your AMA card, District card, online registration receipt, and minor release waiver and guardian (if you are a minor). No more need for filling out data cards! Enter only one rider per form. If you have more than one rider, you must complete the info below for the first rider, click submit, and then complete another form for the next rider. 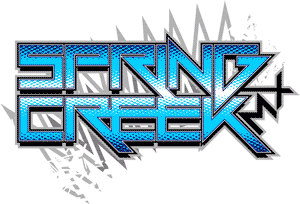 NOTE: The 50cc Open 4-8, 50+ B/C, & 55+ B/C classes are for the Spring Creek Super Series Only and are NOT D23 classes!